The diagnostic wax-up is something of an untapped resource in dentistry. They are underrated, and unfortunately underutilized. The way we see it, making a restoration without a diagnostic wax-up would be like a construction team building a house without a blueprint. For a builder, that’s never a smart way to move forward, and for a house owner, that’s a leap of faith you’d never be willing to make. One problem with many diagnostic wax-ups is that they are often used as little more than selling tools. “Here’s your new smile, and here’s what it’s going to cost.” And while they’re useful to that end, we see the overall process as much more than just showing off a floor model. Diagnostic wax-ups are our blueprints, and in the same way that the blueprints to houses can be evaluated and redrawn before moving ahead with construction, using a diagnostic wax-up allows you to make alterations at the patient’s request before the investment in chairtime has been made at the porcelain stage. Before we go ahead and design a case in ceramics, we use the pre-op model (Image B) to create a natural-looking diagnostic wax-up with tooth-colored wax (Image C). A silicone matrix of the wax-up is then used to fabricate an acrylic prototype (Image D). 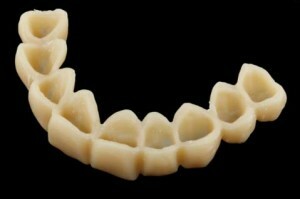 This prototype is made indirectly at the lab on a prepped pre-op model, and is then relined intra-orally on the patient’s finished tooth preparations. Our prototype is more than what would traditionally be thought of as a temporary. A temporary is simply a copy of pre-treatment contours, while our prototype is something the patient can wear, evaluate for contours, esthetics, function, and shade. It’s a dental “test drive” the patient can show off to their friends and family, something they will see as a real benefit in the overall treatment procedure. If the patient has any concerns or changes they’d like made, these can be communicated to the dentist who can easily make any necessary contour modifications chairside. Once the patient is pleased with the prototype, and you have their sign-off, an impression is taken, and our laboratory creates a stone model of the approved prototype. 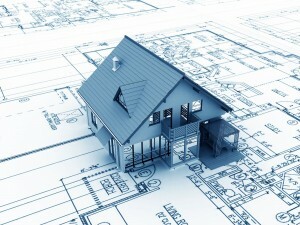 This becomes our 3D blueprint to follow when fabricating the final restoration. By gaining the patient’s acceptance during the diagnostic design phase, and through the use of a prototype, you’ll experience a more efficient restorative process, preventing back and forth appointments in the ceramic stage, making everything more predictable for you and the patient. If you’re looking for a way to let the patient know exactly what they’re getting — thereby ensuring their satisfaction at final insertion — we highly recommend the use of diagnostic wax-ups and the subsequent prototype on all your future large anterior cases. Have questions for Joe about how the diagnostic wax-up and subsequent prototype can benefit you? Send him an e-mail at fillinginthegaps@bonadent.com. This entry was posted in Articles, Joe Weisz by Filling In the Gaps. Bookmark the permalink.